Is that a new sink that you have just purchased for your new home? Yeah? Awesome! But wait, you don’t know how to install it and you don’t want to spend hundreds of dollars on a plumber. Why not just google on how to install a sink and do it by yourself? Well if that is what you want then you’ve come to the right place! But first, what will be the materials that you need? These items could be purchased in an online store or in a local store. Before you actually purchase a new faucet, make sure that this new faucet will fit your sink. But how will you know that? Check the holes under your sink—if it’s three, two, or one. These holes will determine which faucet is suitable. It will determine if you need a centerpiece or a widespread faucet. But when in doubt, bring the old faucet with you and present it to the store. To prevent water sporting on your face when you take off the old faucet, make sure to turn off the water supply. The valve could be found underneath the sink. Don’t forget to drain the faucet of remaining water by turning it on. Disconnect the connections that your old faucet has on your water supply by disconnecting the supply lines. Use a basin wrench to make things easier. Afterward, disconnect the lift rods. After you disconnected the supply line and lift rods, remove the nuts underneath the old faucet. Don’t forget to remove by unscrewing the old drain plug and the slip nut of the p-trap(use a bucket to catch the trapped water) as well! Disconnect the drain from the sink. Afterward, make sure to clean the sink and faucet hole with a rag. You don’t want a dirty sink, that’s gross. When you purchase a new faucet, chances are the manufacturer has left some installation guide. Make sure to read those too. Slide the gasket on the bottom of the faucet and mount it on the mounting holes; tighten the mounting nuts afterward. Sometimes, faucets aren’t pre-assembled with handles; therefore, refer to the manual on how to install the handles. But basically, you slip the guide ring onto the bottom of the handle and secure it with a setscrew. Use the provided hex wrench to tighten it. You need to take the drain body and unscrew the nut all the way down. Afterward, you install the gasket over it. You need to apply a little bit of silicone under the flange (but some of the manufacturers will recommend a different one, so read on to the instructions too). Install the drain rod with the pivot nut towards you and screw the flange on. Afterward, underneath the sink, tighten the nuts and gasket and remove excess silicone (use mineral sprites) afterward, unscrew the pivot nut. Insert the horizontal rod through the hole in the stopper and tighten the nut. And then, you need to slide on the strap secure it by clipping. Then install the lift rod through the faucet into the strap. Secure it with the strap and the screw. 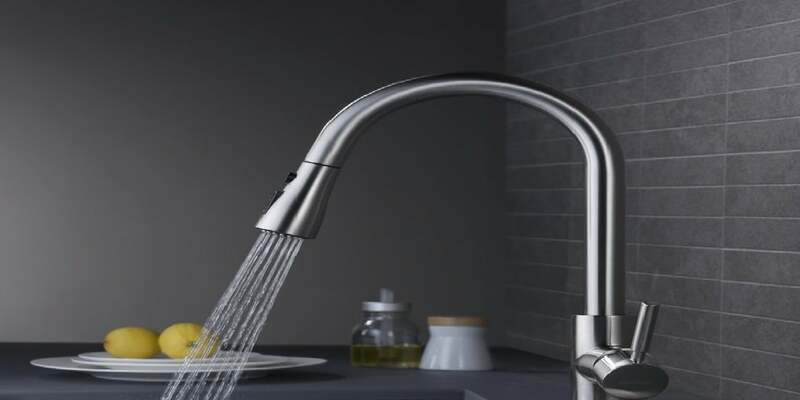 Before using the faucet, connect the supply line into the faucet shanks by connecting it to the water valves. You need to make sure that there will be no leaks surprising you when you’re using it. In order to do that, remove the aerator and turn on both cold and hot water for one minute. Check if there’s leaks and re-secure anything if needed. So that’s how you basically install a new faucet. So to summarize, these are the things that you need to consider before going through that ordeal. Installing a new faucet may range from easy to hard. And that’s okay if you’re having problems with it! That’s why we have experts to do the nitty-gritty.